Grover Norquist and the rest of the unruly drug addled anarchists who planned on descending on the annual debauchathon known as Burning Man will have to hold off for at least another 24 hours — rain has made the road to the Nevada desert fest unpassable. In a series of apologetic tweets today, the Spirit of Burning Man (an intern, or an old guy who just wants everybody to be cool and have a good time) explained that a rainy forecast has made traveling to the festivities dangerous, and that people who have begun to make their way into the desert should turn back lest they like Burning Man be snuffed out by sky-water. 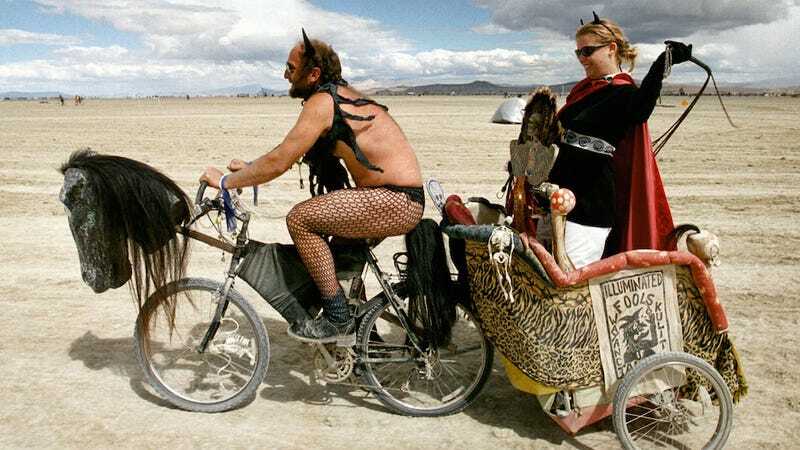 Much to Norquist's chagrin, it seems Burning Man has a use for law enforcement, after all.